Nature can sometimes amaze you with some of its simplest but incredible creations. And the best thing is that you can use many of them to create a great craft. Craft making is one of the many ways to bond with family, friends and kids! 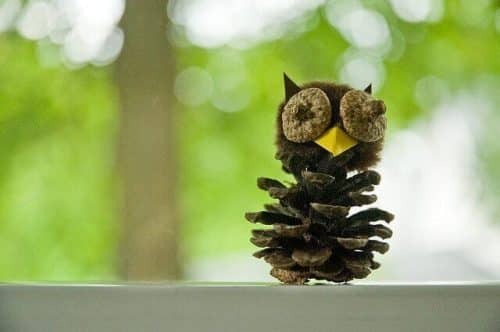 A really simple and easy craft to make is a pinecone owl. You can use them year after year as fall and Thanksgiving decorations. You can start this craft by going on a walk with the kids, family or friends to gather some pinecones and acorn caps. Once you’re done with your gathering, you can return home and transform your pinecones into cute owls. And there you are! Find a place among your Fall or Thanksgiving decor for your cute home-made pinecone owl.